Our business is located in Kempton Park, Gauteng, but we operate throughout South Africa. Gauteng is the financial capital of Africa and offers the best communication and technologies on the continent. We are situated on the doorstep of the OR Tambo international airport, the busiest airport in Africa, which is the hub off all travel on the sub-continent. Currently our business consists of a technical and operations manager (that is personally responsible for all projects including commissioning and test work), an administrative manager, one draughtsman and a technical assistant. In the past we have used trained sub-contractors to assist when workload have increased. Although our company is small we have established ourselves as a reputable company with a proven track record in the nine years of existence. We have evolved into a company who supplies a diverse range of electrical engineering solutions. 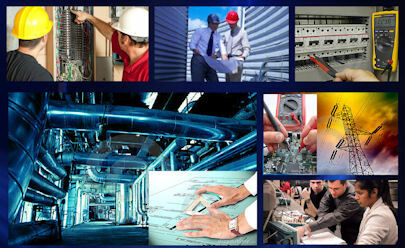 We are in the unique position to offer turnkey solutions to our customers (we offer a one-stop-service that includes sales, consulting, design and engineering, installation, commissioning and technical support). We have delivered high standard designs and services to large national and multi-national companies. ABB, Siemens, Eskom, SASOL, Kelvin Power are some of our customers. We are proud to be associated with Littelfuse Selco A/S a leading developer and manufacturer of high quality electronic equipment for: power generation and control, process alarm monitoring and ARC protection systems. In 2008 we have obtained distribution rights to market, sell and support Littelfuse Selco products in Southern Africa. We would really like to discuss possible business opportunities with you on a one-on-one basis. We invite you to contact us so that we can discuss your individual needs and to establish how our company could add value to your business. We provide free quotations on request. We are truly looking forward to hear from you! Integrity - Integrity, is at the same time honesty, sincerity, mutual respect, respect for a person's word and for commitments made, together with a rejection of any dishonest methods or business conducts. Trust - We believe that all successful business relations are build on trust. Trust stands for a great deal of openness and faith. We understand that the customer relies and depends on the actions of the supplier. Environment - We are committed to conduct our business in a responsible manner to minimize and ultimately reduce the impact that we may have on the environment. We shall promote environmental awareness among our employees and community and engage with other interested parties to work towards a shared goal to maintain and improve the condition of the environment. Leadership - Leadership, the ability to influence and motivate others and stands for self confidence, achievement and commitment. Leadership is the ability to strategize, applying conceptual thinking and the ability to see the "big picture”. We believe in “leading by example” and through this we inspire our employees. Commitment - Commitment is our dedication, promise and obligation towards excellence in service provision: efficiency, productiveness, cost saving, innovation and maintaining profit margins in order to sustain our business and prosper. Business - We regard every business transaction as an ideal opportunity to excel the customers’ expectations. Ensure right from the start that we are fully in tune with objectives and tailor make every service to meet them. This is why we place such emphasis on working in partnership with all our customers and why we approach every new relationship with energy, enthusiasm and an open mind - backed by the desire to work closely and flexibly within that relationship to develop the best solution.